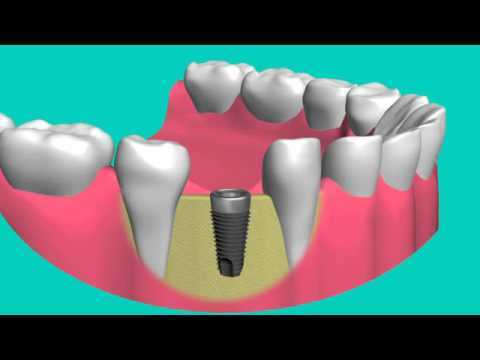 Dental implants are the healthiest, most natural looking way to replace one or more missing teeth that have been lost to a tooth extraction, injury, or gum disease. The post of a dental implant works from inside the jaw bone, mirroring a natural tooth root while the visible crown looks as real and attractive as an actual tooth. If you are ready to replace missing teeth in Madison, WI due to tooth decay or other issues, call us today to arrange your dental implants consultation with Dr. Chris Stevens. Having advanced gum disease that results in a tooth extraction is a common cause of missing teeth. Single dental implants and implant supported bridges and dentures are some of the ways that we can restore health and beauty to your smile. Placing dental implants at the site of a missing tooth will protect the jaw bone and keep the smile looking as natural as possible. The post of a dental implant is surgically implanted in the jaw to stimulate and keep the bone strong while the crown looks like a flawless, natural looking tooth. A traditional dental bridge is another alternative for filling in the space between two natural teeth. A bridge operates on three components, a middle crown unit that fills in the gap and two crowned natural teeth on either side to serve as anchors. To make room for the bridge, the anchor teeth require some recontouring, a process that removes a small layer of enamel so the bridge can be fitted in place. Implant supported bridges operate the same way except when anchoring the bridge, Dr. Stevens uses two dental implants in place of natural teeth. Partial dentures are another conventional way to replace teeth. Partials consist of a plastic base with synthetic teeth to form an appliance that the patient secures to remaining teeth with clasps. They can feel uncomfortable and they do nothing to stop bone loss. Implant supported dentures and single implants at the site of multiple missing teeth are a healthier alternative. Appearance – Dental implants look and act like real teeth. Versatile – They can be used to fill the space left by one or more missing teeth. Improve Quality of Life – A healthy smile increases confidence and self-esteem. Stop Bone Loss – Dental implants mimic tooth roots to keep the jaw bone strong and healthy. Keep Facial Muscles Taut – A strong jaw bone supports facial structure. Easy to Care For – Just brush and floss as you do your natural teeth. "I was always worried about what I was going to eat and how I was going to eat, and going out to dinner - things like that. So this way, everything is back to normal. I feel like a younger person again."